The Karundas Children’s Home, about three hours north of the capital city of Nairobi, is a 50-acre farm where approximately 60 children between the ages of 4 and 18 years live and thrive. In four separate houses, we provide loving care for children who desperately need a stable home. Some of the children come to us as infants, often orphaned or abandoned by parents due to the HIV/AIDS epidemic. Sadly, many of the children in our care are HIV-positive. We also take in vulnerable girls from surrounding communities who would otherwise face cultural and social challenges such as underage marriage, sexual abuse, and lack of education. In addition to the daily care we provide at Karundas, we also seek to facilitate the building or rebuilding of relationships with trusted family members or guardians. These relationships are important for them, creating a family identity and emotional support that will be crucial in their young adult years. And most importantly, every child hears about the amazing grace of God, and how much He loves them. 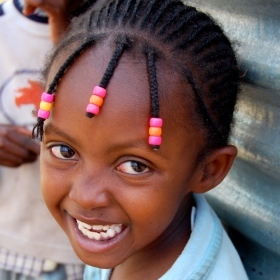 Support the Ministry of Karundas Children’s Home with Your Gift Today.